(AllHipHop News) Jussie Smollett is no longer facing criminal charges over allegedly staging an attack and claiming it was a racially motivated hate crime. The "Empire" actor was charged with 16 felony counts of lying to police about being assaulted by racists outside his apartment in Chicago, Illinois in January. However, on Tuesday, his lawyers announced the Illinois state attorney’s office had dropped criminal charges against him. The Mayor of Chicago was superheated over the decision, as was the city's top cop, Chicago Police Superintendent Eddie Johnson. "This is a whitewash of justice. A grand jury could not have been clearer...where is the accountability in the system? 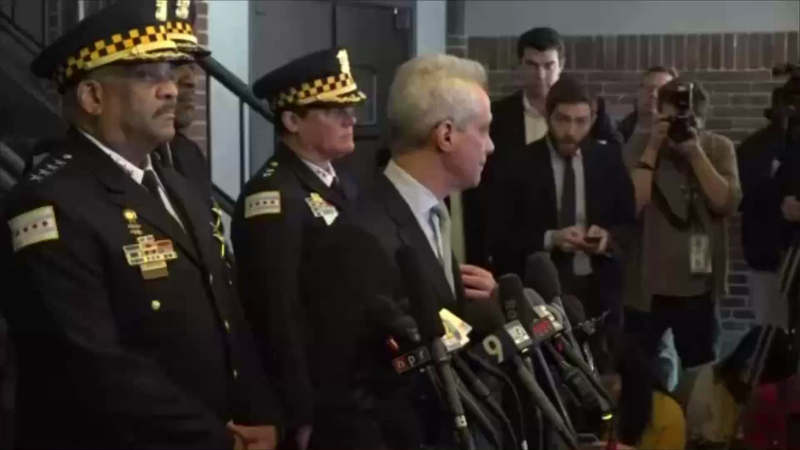 You cannot have, because of a person's position, one set of local rules apply to them and another set of rules apply to everybody else," Mayor Rahm Emanuel snapped. The actor is facing ruin and the Chicago Police completely blasted Jussie Smollett today. Jussie Smollett had told police that he was attacked by two masked men as he was walking home in the early hours of the morning, claiming he had racist and homophobic comments shouted at him, and a chemical substance was poured on him. Two siblings, Brothers Ola, and Abel Osundairo claimed Smollett had paid them to help him pull off the hoax after meeting through his work on hip-hop drama series "Empire," allegations he denied. They aren't the white suspects Jussie claims beat him up, but the cops have arrested a pair of brothers for the assault. CPD Superintendent Eddie Johnson blasted Jussie and although he was cleared by the judge, Johnson maintained the actor was guilty as charged. "At the end of the day, it's Mr. Smollett who committed this hoax, period," Superintendent Eddie Johnson said. "If he wanted to clear his name, the way to do that was in a court of law so that everyone could see the evidence...I stand by the facts of what we produced. If they want to dispute those facts then the place to do that is in court, not in secrecy." Mayor Emanuel cringed at statements Jussie just made to the media after being completely exonerated of the charges. “Make no mistakes, I will always continue to fight for the justice, equality, and betterment of marginalized people everywhere," Jussie said shortly after the ruling in his favor, in an announcement the Mayor took issue with. "Mr. Smollett is still saying that he is innocent. Still running down the Chicago Police Department. How dare him. How dare him," Mayor Rahm Emanuel snapped. "This is not the superintendent and the detective's department word against his. And even after this whitewash, still no sense of ownership of what he's done," Mayor Emanuel said.